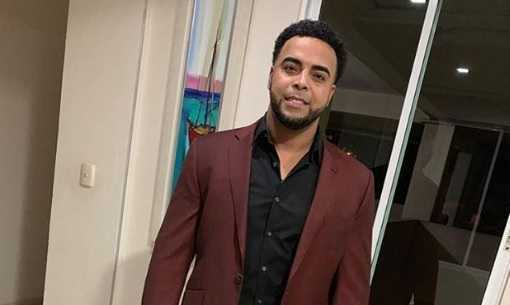 Nelson Ramon Cruz Martinez, professionally known as Nelson Cruz is a Dominican-American professional baseball right fielder and designated hitter of the Minnesota Twins. Previously, he has also played for the Milwaukee Brewers, Texas Rangers, Baltimore Orioles, and Seattle Mariners in the Major League soccer. He was named 2011 Most Valuable Player of the American League Championship Series. He is also a six-time MLB All-Star. He is a six-time MLB All-Star. He was born on 1 July 1980. He was born in Las Matas de Santa Cruz. he holds Dominican and American nationality. His father, Nelson Cruz Sr. also played professional baseball in the Dominican Republic. He has two sisters, Nelsy and Olga. He had an interest in playing basketball growing up. His idol was Micahel Jordan. He is a high school graduate. He also worked as a mechanic's helper with his uncle at a tractor factory. His zodiac sign in Cancer. New York Mets initially signed non-drafted free agent Cruz, where he played for three years in the Dominican Summer League. In 2000, Mets traded him to the Oakland Athletics for shortstop Jorge Velandia, as starting shortstop Rey Ordonez was out with a broken arm, and Melvin Mora, Mike Bordick, and Kurt Abbott proved unable to fill in. He spent four years in Oakland's minor league system. In 2004, Oakland traded him to the Milwaukee Brewers. In 2006, Brewers traded Cruz to the Texas Rangers. In August 2006, he hit his first grand slam of his career off of Kevin Gregg of the Angels. In 2008, he won the Pacific Coast League MVP award. In 2009, participated in the 2009 Home Run Derby, where he finished second to Brewer's first baseman Prince Fielder. In 2011, Cruz became the third player ever, alongside Willie Mays and Mark McGwire to homer in each of the first four games of the season. In 2011, he became the first player in baseball history to hit a walk-off grand slam in a postseason game after he hit a walk-off grand slam in Game Two of the ALCS versus the Detroit Tigers. In 2011, he became the first player to hit multiple extra-inning home runs in the same postseason series. He was given the 2011 ALCS MVP award. He joined Baltimore Orioles for $8 million in February 2014. In 2014, he led the American League in home runs. He rejected $15.3 million qualifying offer from Orioles and joined Seattle Mariners for $57 million in December 2014. He joined Minnesota Twins for $14.3 million in December 2018. He was named in MLB All-Star six times in 2009, 2013, 2014, 2015, 2017, and 2018. He has won two Silver Slugger Award in 2015 and in 2017. 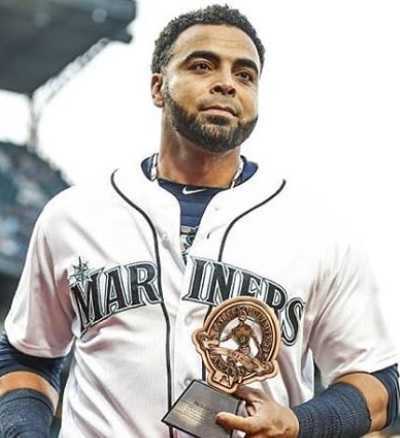 He was also given Edgar Martinez Award in 2017. Nelson Cruz is a married man. He is married to Solani Genao. They got married on 25 December 2009. The couple has a daughter, Giada, and a son, Nelson Jr. He became an American citizen after the end of the 2018 season. Nelson Cruz stands at a height of 1.88 m i.e. 6 feet and 2 inches tall. He has a body weight of 240 lbs i.e. 109 kg. He turned down $14 million qualifying offer from the Rangers in 2013. He signed a one-year deal for $8 million with Baltimore Orioles in February 2014. He then signed a four-year deal with Seattle Mariners for $57 million in December 2014. He joined his current club Minnesota Twins for $14.3 million. He played for the Dominican Republic Junior National Basketball Team. He also shined shoes and learned to repair shoes at his youth. In 2012, he donated $20,000 to help buy a firetruck for Las Matas de Santa Cruz, enlisting AMR's help in also donating two ambulances. In September 2006, he hit an inside-the-park home run in which his bat broke on impact. He refers his baseball bat as a "boomstick". He became the second hitter behind Chad Curtis to hit a home run into the upper deck in right field as a right-handed batter in the history of Ranger Ballpark in Arlington. He played 881 games in right field, 119 in left, 2 in the center and 582 at DH through 2018. He hit six home runs and recorded 13 runs batted in in 2011 American League Championship Series, both MLB records for a single postseason series. He was suspended for 50 games by MLB for his involvement in the Biogenesis baseball scandal, buying performance-enhancing drugs.